The 5 Days Northern Circuit Wildlife Encounter Safari takes you to explore Tanzania wildlife through the Northern circuit. 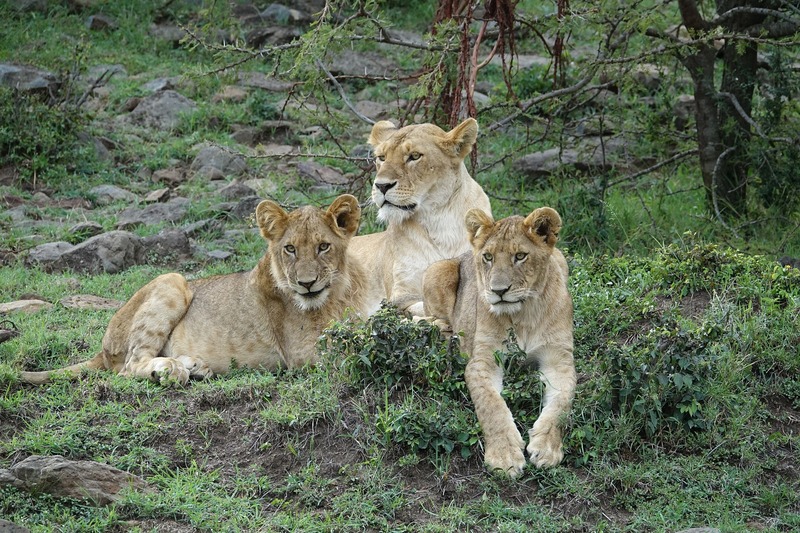 Book This Wildlife Safari in Tanzania. Day 2: Lake Manyara to Serengeti National Park. After an early breakfast, drive to Serengeti National Park arriving in time for lunch at the lodge. Spend the afternoon game viewing in the endless plains of the Serengeti for a chance to see the great herds of wildebeest, zebras and gazelles or a pride of lions lounging in the shade. Return to your lodge for dinner and overnight. (Serengeti Serena Lodge or Serengeti Sopa Lodge). Day 3: Serengeti to Ngorongoro Crater. Depart for an early morning game drive around your lodge, then return to the lodge for breakfast. Mid-morning, depart for Ngorongoro Conservation Area arriving in time for lunch at the lodge. This afternoon, you will descend 2000 feet (over 600 meters) to the floor of the crater for a half day crater tour. Explore the forest areas that are inhabited by monkeys and elephants, the lake area, where you may see the flamingos and the open savannah where the lions hunt for food. Dinner and overnight at the lodge (Ngorongoro Serena Lodge or Ngorongoro Sopa Lodge). Day 4: Ngorongoro Conservation Area Authority (NCAA) to Tarangire National Park. After breakfast, depart for Tarangire National Park, arriving in time for lunch and an afternoon game viewing. Lesser kudu, eland, lion and gerenuk can be found in this beautiful park, noted for its multitude of baobab trees and its tree- climbing lions. Dinner and overnight at the lodge (TarangireSopa Lodge). Day 5: Tarangire to Arusha. Enjoy an early morning game drive in the Park. Breakfast at the lodge, followed by the drive back to Arusha with game viewing en route.Lunch in Arusha town. End of the 5 Days Northern Circuit Wildlife Encounter Safari.